With the Pretend and Play Camp Set by Learning Resources, she'll be ready to pretend she's a Girl Scout one day and a forest ranger the next! 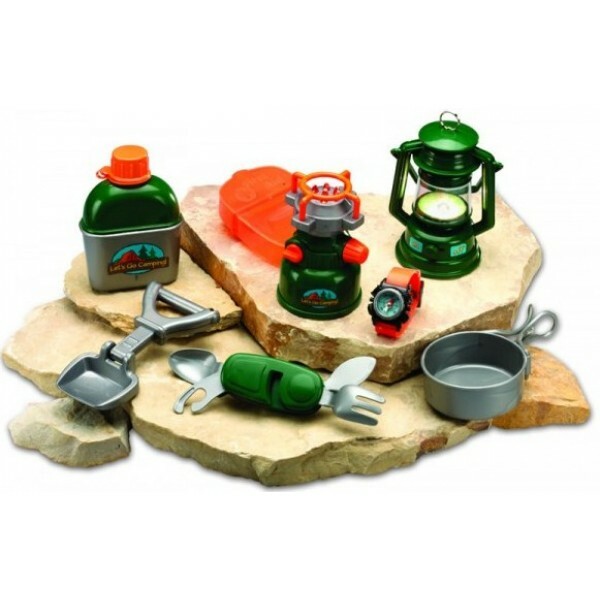 Set up your campsite anywhere with this 9-piece set. 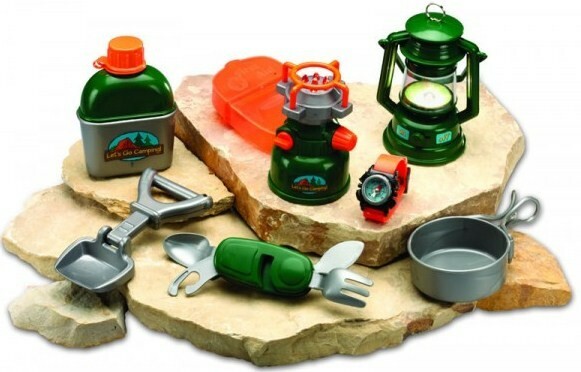 Includes unique battery-powered lantern and stove, water bottle, working compass watch, cup, pan, shovel, first aid kit and utensil set.